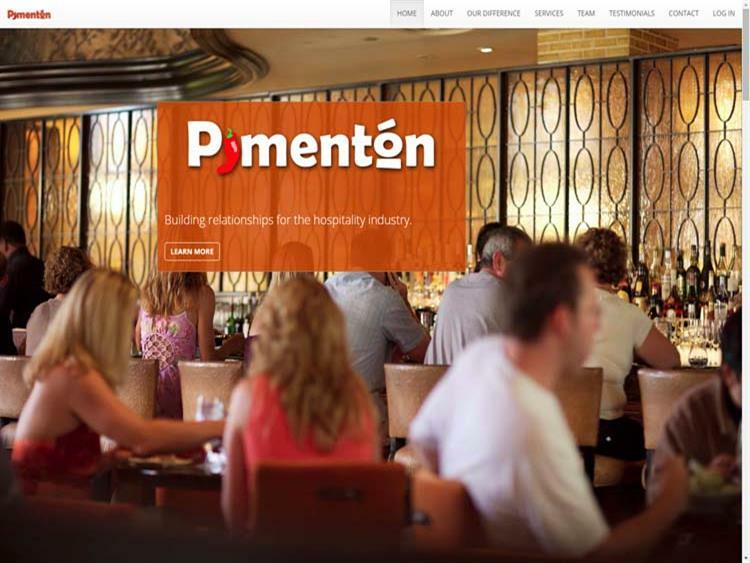 Pimenton is a one stop shop out sourced marketing service for the hospitality industry. 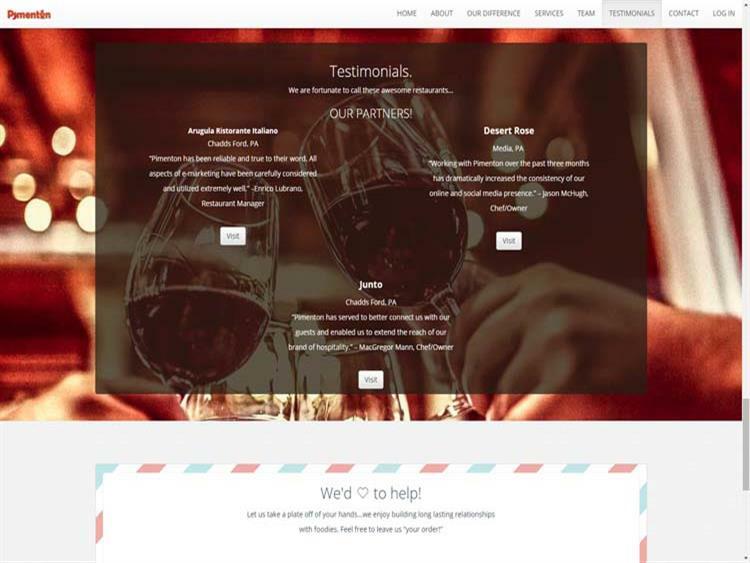 We wanted to provide a web presence for this service specifically geared towards those who own or manage hospitality companies. Our goal was to share what our service had to offer and be personal with our viewers. 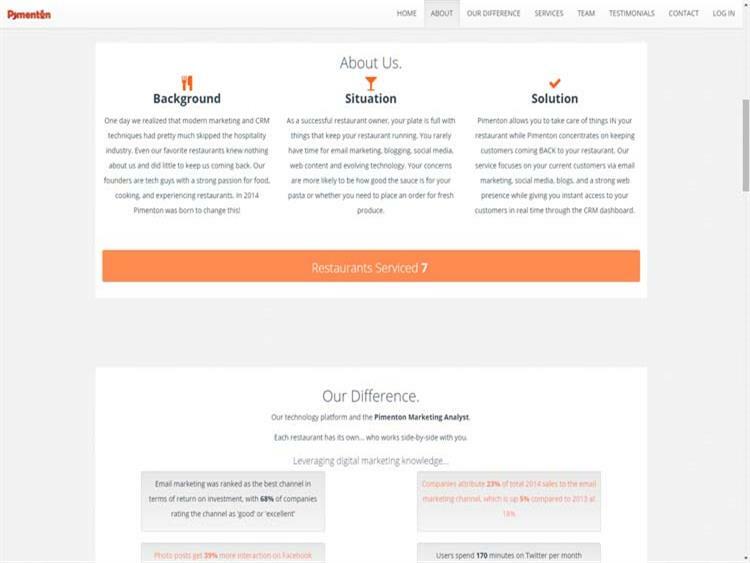 Created a mobile responsive single-page application (SPA) that highlighted our services for our audience to better understand what Pimenton was. A lead form integrated with our customer relationship management platform, Microsoft Dynamics 2013. The hospitality industry is constantly on the fly, making a mobile responsive website a must. Ability for leads to be generated on the site and directly put into CRM where our sales team can follow up and set appointments. This website is being hosted in Microsoft Azure cloud environment.